We recently completed our new Travel Affiliate WordPress Theme. 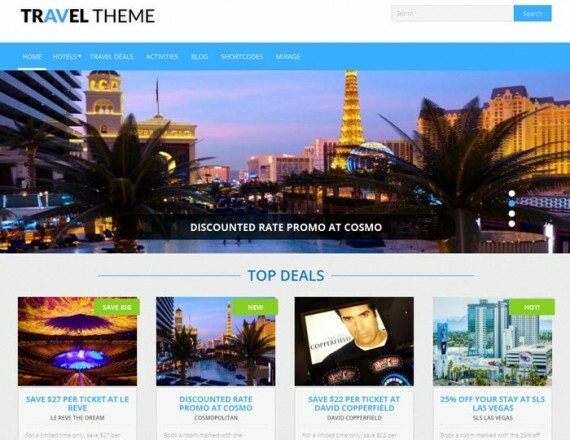 It is a flexible, responsive theme for travel affiliates or bloggers for promoting or publishing content for a particular region or city, as well as multiple locations all around the world. You can create the ultimate travel portal or city directory with some of the features including hotel post types, deal post types, activity post types, and a various listing pages and configuration options. Make money as a hotel affiliate, show or attraction affiliate, adsense, and many other options. Commission junction has plenty of options for affiliates. Hi tom, thread hijack but how about a premium theme with geotargeting included? Thanks for the idea. I definitely will look into something more built-in instead of a plugin.